Rocket fired from Gaza strikes open field; no damage, casualties reported. One rocket struck an open field outside Ashkelon after being fired from Gaza, initial reports show Saturday night, after sirens sounded in the Ashkelon area, the Lachish region and the Hof Ashkelon area. Several explosions were also heard in the area. 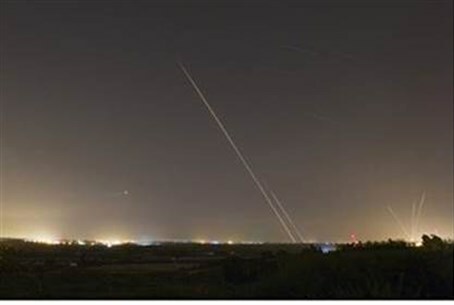 An IDF spokesperson confirmed to Arutz Sheva that a rocket was fired from Gaza and that it is estimated to be a lone strike. On Wednesday evening, two rockets from Gaza exploded in the Sdot Negev region. There were no physical injuries or damages. Wednesday’s attack came just one week after terrorists from Gaza fired a Grad rocket towards southern Israel. The rocket exploded near the community of Gan Yavneh, near Ashdod. There were no injuries. Due to the numerous rocket attacks, the IDF deployed Iron Dome batteries to the Ashkelon, Ashdod and Netivot areas on Friday.